What are the Issues in Your Tissues? Take this Quiz to find out! What are the Issues in Your Tissues? And Do you have them? Finally! a fun and interactive tool to catalyze your exploration into the Issues in Your Tissues. The Issues Quiz is short – only 20 questions. It will get you thinking about unconscious patterns and habits that might lie at the root of your physical and emotional problems. It is not meant to diagnose any condition and you can take it as many times as you like. We all experience feelings of insecurity shame, guilt, sadness, fear, anger, and joy but we don’t always have an appropriate outlet for them. Where does the energy of unshed tears go? What about aches and pains that don’t go away or come and go without apparent cause. Who doesn’t have stress these days? What are the physical ramifications of stress and what can we do about them? 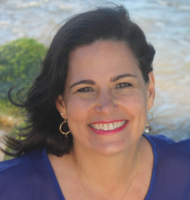 Issues in Your Tissues answers these and many more questions, plus gives you insight and tools to help you make healing connections in your own body. Explore the unresolved emotional energy that causes your stress, sleep problems, tight neck and shoulders – even serious dis-ease. 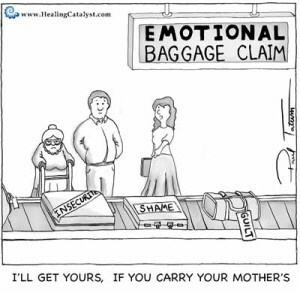 Gain confidence and skill to feel your feelings as they arise. Prevent the accumulation of energetic sludge that eventually results in illness. I designed this quiz to stimulate your awareness about the emotional energy you carry from unresolved trauma and hurtful experiences. Use it as a tool for self-exploration. Your answers will generate a response that helps you focus on improving your physical and emotional well-being. Ask yourself how do you feel about it. There’s no judgment here. We all have things we’re working on. That’s part of being alive! You will also have an idea whether reading my book, Issues in Your Tissues, will benefit you. The fact that you are here, asking questions is wonderful. Congratulations. There’s a lot more to explore here! Bookmark this site and read more as you have time. I hope this quiz inspired you to explore the emotional energy you might be carrying in your body that could be at the root of your other physical symptoms. Most physical problems such as stress, tight muscles, headaches, and sleep problems link back to emotions you couldn’t express cleanly as they occurred. So you stuffed them. 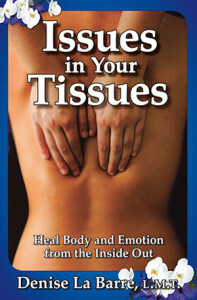 Check out the articles and videos on this site, or – best of all – order a copy of my book, Issues in Your Tissues: Heal Body and Emotion from the Inside Out. It has stories, cartoons, insights, exercises, and tools to help you identify and release the emotional energy that holds you back from being your healthiest, most alive and whole self. *This quiz does not diagnose any condition and you can take it as many times as you like. Your results will reflect changes in your health and attitude.